My dad’s favorite, the Glazed Pineapple Cookies come from this cookbook. Today’s recipe is the last one for the Your Tray or Mine series! It is my dad’s favorite cookie tray recipe as well as one of my mom’s favorites. He only gets these cookies once a year and he looks forward to them all year long. They are glazed pineapple cookies, such a pretty cookie on our tray, and not a stitch of chocolate on them! My mom and I split the list of recipes in half each year, each making about 6 different kinds, and merging them on our trays. This one is one of the ones on her to do list each year. 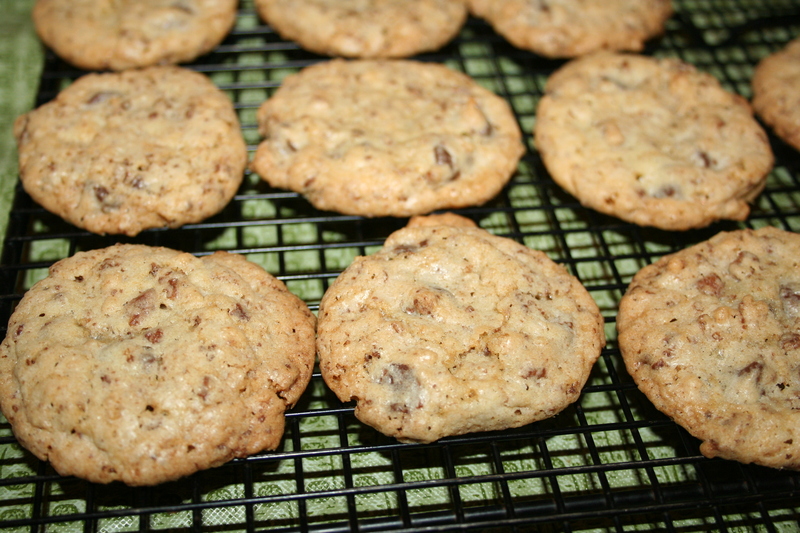 This recipe comes from her McCall’s Cookie Collection Cookbook. It looks very similar to a glazed egg biscuit, but it’s a completely different cookie. Glazed Pineapple cookies….my dad’s fave. 2) Preheat oven to 400 degrees. Lightly grease cookie sheets. 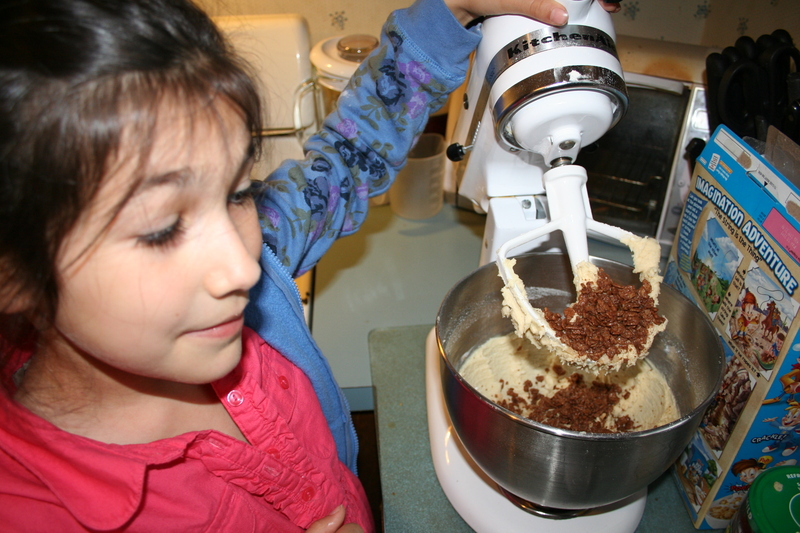 3) Sift flour with baking powder, baking soda, and salt, set aside. 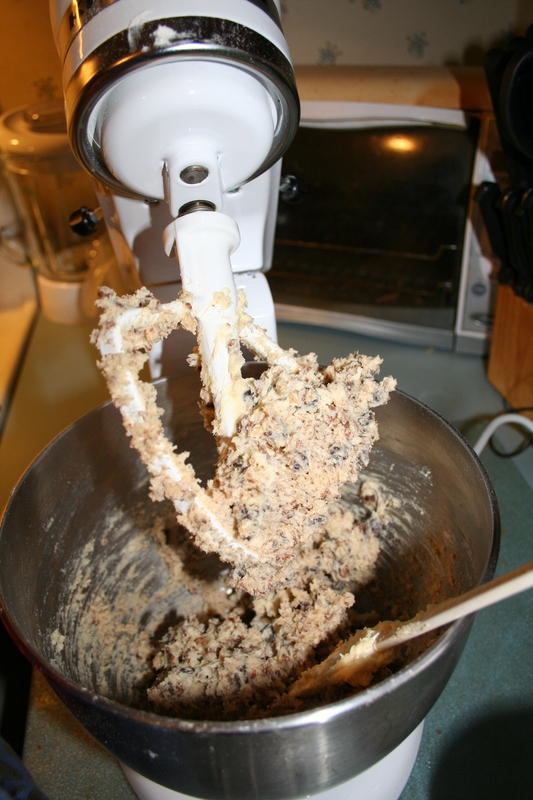 4) In large bowl, with wooden spoon, or portable electric mixer at medium speed, cream shortening with sugar until light. 5) Beat in egg and vanilla until light and fluffy. 6) Add drained pineapple, mix well. 7) Stir in flour mixture until well combined. 8) Drop by rounded teaspoonfuls, two inches apart, onto prepared cookie sheets. 9) Bake 8 to 10 minutes, or until golden brown. Remove to wire rack; cool partially. In a medium bowl combine sugar with pineapple liquid. Stir until smooth. Spread tops of cookies with glaze while they are still slightly warm. Categories Christmas, Christmas Cookies, dessert, Jennifer L. Cowart, Parenthood, Recipes, Your Tray or Mine? Monday Musings: Did you cry? Around midnight that night before, I looked at the pile, and gave a little shudder. At that moment, it all seemed surreal. All through the years, as our kids were growing up, they seemed fascinated by our reactions and emotions, especially for sad events. We would return from a wake or a funeral or talk about something sad that had happened, and the kids would peer closely at our faces. “Did you cry? ?” they’d inevitably always ask, waiting for our answer and the explanation that followed, yes we did or no we didn’t, and a discussion would ensue about how much or little we cried. We recently broke the news to them of an unexpected death of a family member they were extremely close to, this past summer. “It’s okay to cry,” I told them then, as they sat, stunned and not sure what to do next. And they did. We all did. I was reminded of this interest in our emotions and how we handle them, as we began the process of packing up our oldest to move into her college dorm room, one hour, one state away. After I’d survived graduation day itself, and tried to navigate through the summer months to help her get herself ready to go, people would always come up to me, looking at me closely, and they’d ask how I was doing, and how I thought I’d do the day of move-in. I was intrigued by people’s fascination with the coming day and its emotions, and I know that for some, it was because they’d been through it themselves before, and for others it was because they hadn’t, but at some point in the future, they would be at the very place in time that I now was at. With so many situations in life, people aren’t sure what the “right” thing to do is. Truth be told, there is no one right way to do these things. “I don’t think I’ll cry,” I said. I explained that we were lucky, our daughter had chosen an out-of-state school, but with our own state being so tiny, we could get to her state in an hour. She would be gone, but not far away and we could get to her easily. Additionally, over the past two years, especially since getting her license and her job, she had been gone a lot. She worked a lot, she was at school all day and even for many of the nights between sports and activities, and on the weekends if she wasn’t working, she was often out with friends, making the most of her time before they all went their separate ways. I felt like we’d been slowly adjusting to life without her at home, for two years. Since January alone, she had traveled out-of-state with school twice, and with a friend for a week in the summer. She was independent, confident, knowledgeable and ready to go, and yet she wanted to be close enough to home to be back in a heartbeat if she wanted to be at an event, or needed to be home for an obligation, which we also thought was a good decision. I felt like we had done our job as parents, and we had done it as well as we could. She was ready. And truly, I wasn’t as sad as I was just so excited for her. My husband and I are both college graduates and we had both lived at school, both on-campus and off. We both knew how great these next four years ahead would be for her, and how lucky she was to be able to have these experiences. We were so excited that she’d picked the school she’d picked, as it seemed to be everything she wanted. It felt like home to her after the first day she visited, and it felt comfortable for us as well. We were incredibly happy for her. During the parent orientation day in June, we were asked to write a letter to our student which would be given to her during her first week of college classes. I wrote that as our first child going off to school, we were all so excited for her, and that we couldn’t wait to hear all of the things that she got to do. I reminded her to try new things and to do new things, that this was going to be an exciting time her life, and in ours, as we all waited to hear about her new adventures. We’d tried to create that sense of adventure in our own family all through the years, and this was the next step: now go, and create your own new adventures. Be safe, but get involved. Try new things. If you don’t do it now, you may never get to. As The Day drew closer, the posts and memes shared on social media were more and more sad. I didn’t open them. I couldn’t read them. I couldn’t let myself go down that rabbit hole. I had to stay focused and organized in order to best help her, and I wanted to remain excited for her. “Are you going to cry?” she asked, looking at me closely. “I don’t think I am,” I answered. “I don’t think I am either,” she said, relieved. I didn’t want her to. This was a happy time, and my mom had always said this about the times in my life that were transition times as well, when she wasn’t sad either, but happy instead. I didn’t want my other girls to be sad either. They were very excited for their sister, proud of her, and the months and years ahead were going to be exciting for them as well, as they made their way along the rest of their own educational journeys. Things were going to be a little bit different at home, but not a lot, but I also wanted them to look ahead at their own future adventures excitedly too, not worrying from now until then that it would be sad. I knew that ultimately, it was okay for any of us to cry, but I didn’t want to turn this into something sad if we weren’t already feeling that way. I knew too, that if I started to cry and started thinking backwards instead of forwards, I might start to cry and never stop, all those moments of babyhood and beyond flashing before my eyes. I will tell you though, the night before, as the hours got closer to midnight and her stuff was piled up everywhere, ready to go, her room cleaner and emptier than it’s ever been in recent years, it suddenly got real. And, in a life that is often so filled with routines, doing the same thing, day after day after day, for kid after kid after kid, it struck me: I’ve never, ever done this very thing before. I’ve never yet, packed up a kid to move out of our house. I’ve brought one home, three times, and done it the same way every time: the baby girl flag flying outside the house, baby car seat with a new baby girl and new parents standing on the front steps for a photo, but never yet, had I done the reverse, packing one up to leave. It felt like nothing I’d experienced before, because I hadn’t ever experienced it before, and I never would experience that very first, so new, again. At that very moment I took a deep breath, I swallowed a big lump in my throat, and I kept packing, closing, labeling. We had a short amount of time and a big job ahead. On the morning of move-in day we were all business, and as my husband later described to all who asked, you almost don’t have any time to cry, any time to feel anything (but tired). We had to be at the dorm by her designated time slot, and we worked backwards from that time, finishing packing up the car so we could leave on time and be there on time. Once we got there, we had just a few hours to make magic happen in that empty room, now filled with all her stuff, and soon after, all her roommate’s stuff. There was furniture to move, things to be put together, bags and crates and bins to unpack, items to help hang on the wall in the spots she designated, and the time flew by. Our younger two went off to explore the area. Don went off to get us all some food and to buy a fan, since I’d broken the one we brought with us within the first five minutes we’d arrived. My daughter directed me in what she wanted where, doing it as she’d planned it out in her mind (and on Pinterest) for so many months. This was her time, she had everything she needed, and it came together beautifully, just as she’d hoped it would. Before we knew it, the sun was setting on move-in day and we were ready to go home. She was ready. It was truly the first day of the rest of her life, and I remember beaming a big smile across the room to her just before we left. “I am,” she smiled back. She was ready. And so were we. When the time came to give a hug goodbye, we were happy for her, excited for her days ahead. And so we all gave hugs and said goodbye, and off we went. No tears, and really, no sadness, just excitement and exhaustion from the day and from the past whirlwind weeks of preparation. The next day and in the days to follow, people would ask us, “Did you cry?” Many would look closely at me to see how I was doing, how I did, just as my kids always had when we’d return from something sad. “I really didn’t, and we’re really doing okay,” I’d say. We didn’t cry, at least so far, not yet anyway, but it doesn’t mean that it’s a bad thing for those who did, or do. Everyone’s emotions are different and their situations are different. Some cry for other reasons, some kids move further away and aren’t as accessible as ours will be. There are no two families, no two situations, no two kids alike. We didn’t cry for this one, but who knows what will happen for the next one. Or the next, the last. No matter what happens when it’s your own turn, do remember that no matter what, it’s okay to cry.